“We are excited about our partnership with Mr. Biondi,” states Made In New York Jazz founder, Misha Brovkin. 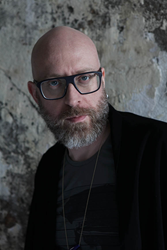 Made In New York Jazz announces Mario Biondi as the company’s first International Artistic Advisor. A familiar name and presence in Jazz industry circles, Mr. Biondi’s involvement with Made In New York Jazz will leave an impression as deep and inviting as his soulfully warm voice. As International Artistic Advisor, Mr. Biondi will identify and help to develop emerging European talent together with the Made In New York Jazz Competition brand. Mr. Biondi’s involvement in the music industry began at birth. As a son of a popular Italian singer, he sang in various small choirs before accompanying many famous Italian singers on their concert tours. It was not long before Mr. Biondi’s incredibly deep and sensual voice was noticed, earning him radio time throughout Europe, and a Best Artist representing the UK-Italy Business Association from the British Consulate. Mr. Biondi has collaborated with music industry greats that many musicians can only dream about meeting. Legendary musicians such as Ray Charles, James Taylor, Al Jarreau, Isaac Hayes, Burt Bacharach, Chaka Khan, Leon Ware, and Amalia Gre, Jean Paul Maunick, aka Bluey, leader of the legendary British jazz band Incognito, Earth, Wind and Fire, Dee Dee Bridgwater. He has also lent his voice to numerous films, including Disney’s The Aristocats, Tangled, and Rio. Mr. Biondi’s work as an Honored International Artistic Advisor will be based primarily in Europe, although he will work closely with the team in New York. His affiliation with Made In New York Jazz will be also announced at the annual Jazz Gala at the Tribeca Performing Arts Center on May 21, 2016.